The UAE has announced new visa rules covering residents and tourists, and has also introduced an insurance scheme to replace bank guarantees for private sector firms recruiting workers. 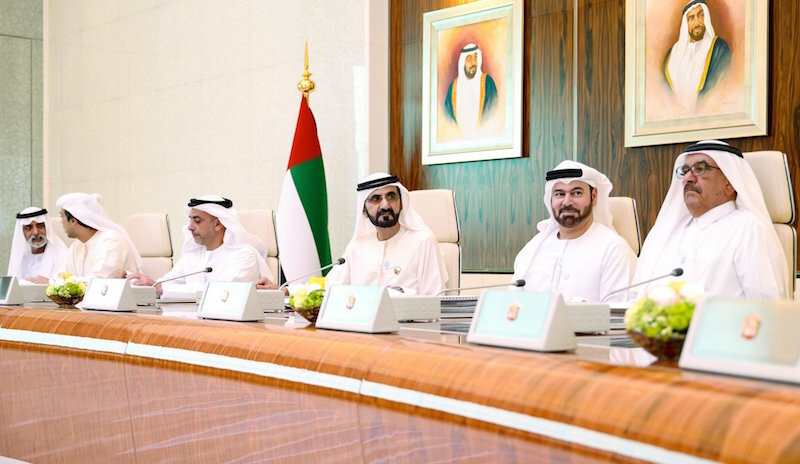 The new regulations were adopted during a Cabinet meeting on Wednesday, chaired by Sheikh Mohammed bin Rashid Al Maktoum, Vice President and Prime Minister of the UAE and Dubai’s ruler. * All transit passengers will be granted an exemption from entry fees for the first 48 hours. They can further extend the transit visa for up to 96 hours for a fee of Dhs50 ($14). The visa will be available at express counters in passport-control halls across UAE airports. * Those that overstay their visa have a chance to leave the country voluntarily without receiving a no entry’ passport stamp. * Those who entered the UAE illegally will be allowed to leave voluntarily with a ‘no entry’ stamp for two years as long as they provide a valid return ticket. * A two-year residency extension will be granted to dependents of residents after they finish their university studies. * A new six-month visa will be introduced for job seekers who overstayed their visa but wish to work in the country. * People in the UAE will also be able to adjust or renew their visa without having to leave and re-enter the country for a fee. The Cabinet has also abolished the mandatory deposit of Dhs3,000 ($817) per worker that has to be paid by private companies, and has replaced it with a new insurance scheme that costs Dhs60 ($16) annually per worker. The insurance policy will cover the workers’ entitlements in terms of end of service benefits, vacation allowance, overtime allowance, unpaid wages, return airline ticket and cases of work injury – in which the coverage amounts to Dhs20,000 ($5,445) per worker. The newly created scheme is hoped to secure workers’ rights in the private sector and reduce the burden on employers. It will also allows businesses to recover approximately Dhs14bn ($3.81bn), representing the value of current guarantees paid by employers, Sheikh Mohammed said. Others resolutions adopted during the meeting included the granting of access to the job market for ‘people of determination’. The Cabinet decided to host the headquarters of the Asian Paralympic Committee in the UAE to serve as a unique sports hub in Asia and to provide training courses and workshops.